Renewed Kitchens is a locally owned and operated company specializing in Cabinet Refacing for Regina and surrounding area. 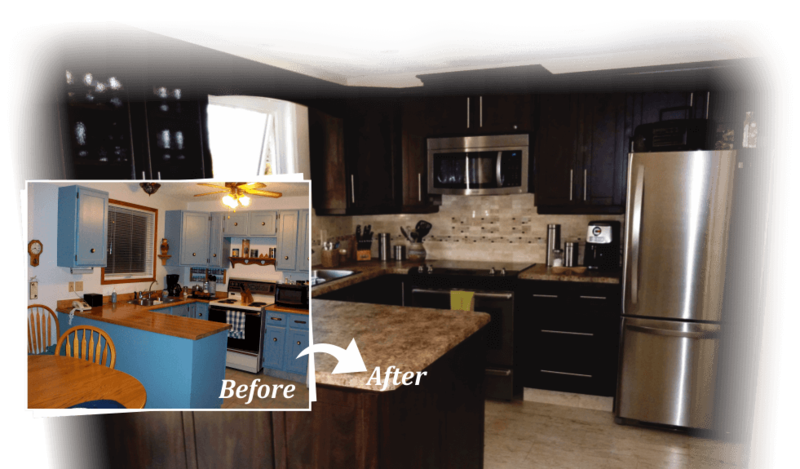 We offer cabinet refacing services for kitchens and bathrooms. In just a few days we transform ordinary into extraordinary. Want a pantry or an island? We custom build any additional cabinetry required to complete your dream kitchen. Tired of getting on your hands and knees? With our Easy Roll-Out drawer system you can add roll-out drawers to any existing cabinet. Complete your project with a new countertop.